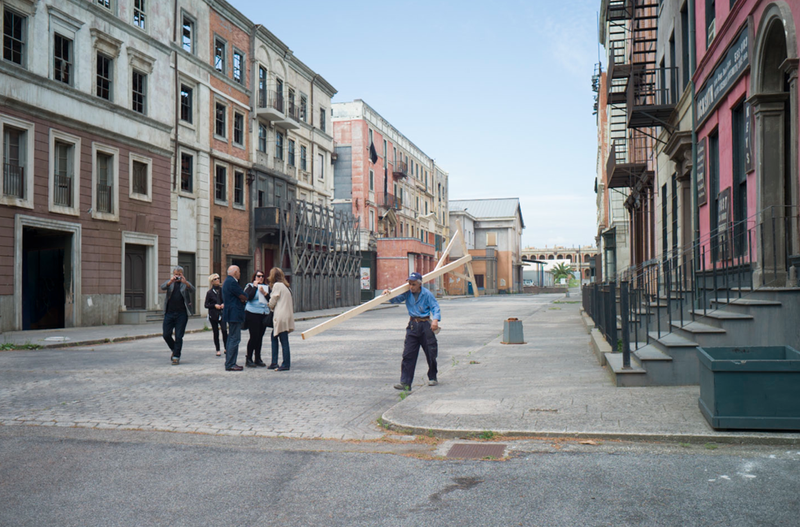 I was asked to shoot something on the set of old New York, and when I arrived I saw that all of Cinecittá seemed to be a crumbling, dilapidated, lifeless place. Film production was gone, a few sound stages were used for TV shows, and the rest of the place had become a tour bus attraction, without much attraction going for it. I scouted the place for locations and everywhere I said I wanted to shoot they said “no, off limits for now.” If not now, when, I wondered? I finally settled for this street of old New York brownstones and other tenement like buildings. It was seedy and sad, and I told the company that hired me that it wasn’t a good choice for what they wanted. But they insisted, and since I was partly doing it as a favor for a friend, I went ahead, hoping to make the most of the hand I was dealt. 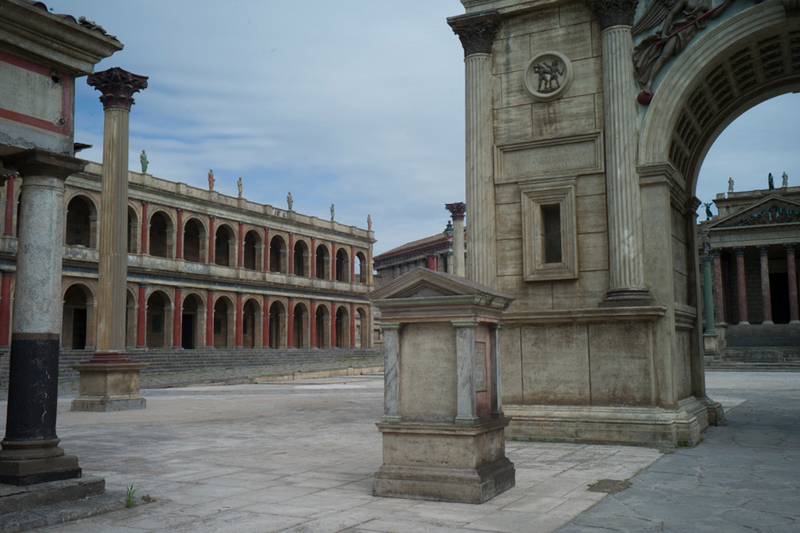 This entry was posted in Cinecittá and tagged Cinecittá, Rome, street, Wall on May 28, 2015 by joelmeyerowitz2014. No! it’s a common answer nowadays. We as young photographers find a lot of difficulties to press the shutter whenever we want. A photograph is information and they want it to be controlled. How can you control your feelings with a camera in your hand? Beautiful shots, by the way.